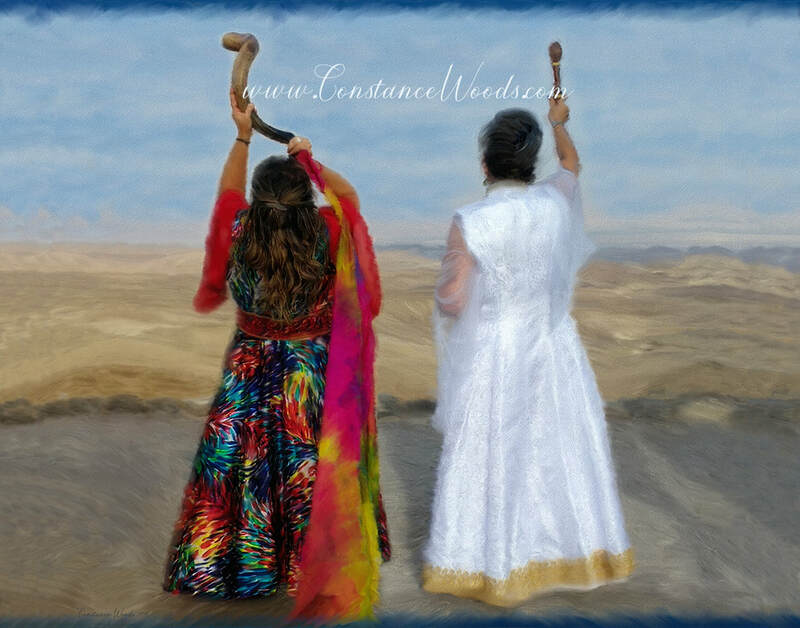 Standing in the Negev Desert of Israel, are the two worship warriors. 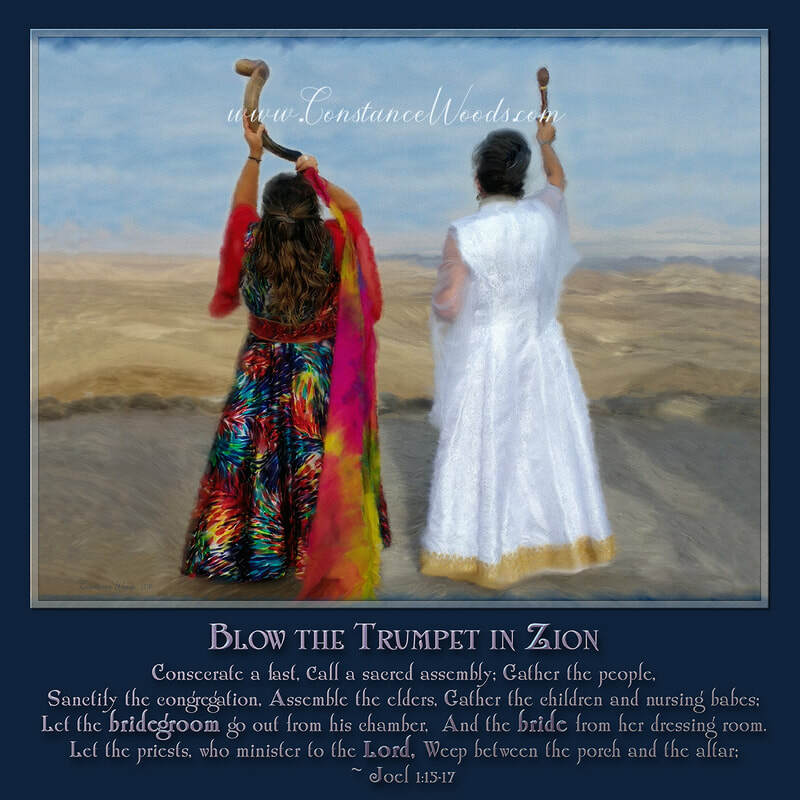 Joel 2 "Blow the trumpet in Zion." ​Calling for Obadiah's prophecy to be fulfilled, that the Sephardic Jews return to posses the Negev. My painting is done from an original photo taken by Marcelyn B. who lives in Israels Negev. Part of the profits from this artwork go to her ministry.